The government has denied involvement in the disappearance of The Maldives Independent’s journalist Ahmed Rilwan, who was abducted from outside his home at knifepoint in 2014. That Rilwan’s abduction was reported five days after he went missing had proved to be the biggest obstacle to the probe, the ministry said in a separate and shorter statement in Dhivehi. It went on to question the mandate of the WGEID – a panel of top independent experts – in reviewing the case. No one has been prosecuted to date over the disappearance. Global press freedom group, Reporters Without Borders (RSF), had referred the case to the UN rights body last year. The RSF had offered no evidence to suggest the government’s involvement, the foreign ministry said. 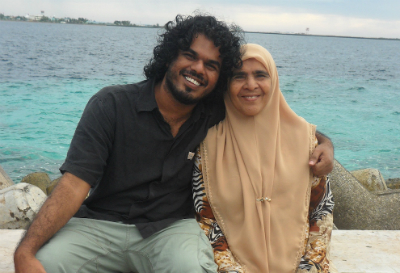 The police, however, only confirmed Rilwan’s abduction last March. It had previously insisted that there was no evidence to link the journalist’s disappearance with the abduction reported by his neighbours in the early hours of August 8, 2014. Five suspects were arrested in September that year, but were released by the courts weeks later. Of the five, Mohamed Suaid, who had reportedly tailed Rilwan for over two hours on the night he went missing, left the Maldives for Syria the following January. Aalif Rauf, a notorious gangster whose car was suspected to have been used in the abduction, was arrested along with another man just last month. The police now say they suspect the involvement of Aalif’s Kuda Henveiru gang in the incident. The home ministry, meanwhile, has said that former Vice President Ahmed Adeeb, detained over a blast on President Abdulla Yameen’s speedboat, has also been questioned over the disappearance. 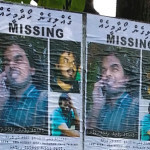 The foreign ministry, however, fiercely defended police conduct, saying: “It is regrettable that despite extensive efforts of the Maldives Police Services, efforts that continue to this day, Rilwan has not been found, nor have those responsible for his disappearance been brought to justice. The police are confident that the “matter will be brought to a satisfactory conclusion and the perpetrators brought to justice,” the statement said. President Yameen is yet to comment publicly over the case. Rilwan’s family, highlighting the departure of suspects from the Maldives and delays in the police probe, including that of Aalif, accused the state of complicity last week. “We had shared all information we had received with the police throughout 2014, but they did not give much thought to that information then… the question that comes to our minds is why they had hidden this for so long?” Rilwan’s sister, Mariyam Fazna, said on World Press Freedom Day. Rilwan’s brothers, colleagues and friends have meanwhile received death threats. The Maldives Independent’s office was also attacked in 2014. Yet ruling party officials had accused Rilwan’s family of running a smear campaign against the government. 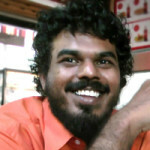 Fake photos and blogs had also cropped up claiming Rilwan had died in battle in Syria. Complaints have been filed with oversight bodies, the Human Rights Commission of the Maldives and the National Integrity Commission, by Rilwan’s family, urging them to look into allegations of police negligence. “We note that a thorough inquiry requires identification of those in positions of authority who attempted to obscure the truth in Rilwan’s disappearance, and their reasons for doing so,” the family said. The governments of the US, UK and the European Union Parliament have expressed concern over Rilwan’s disappearance.